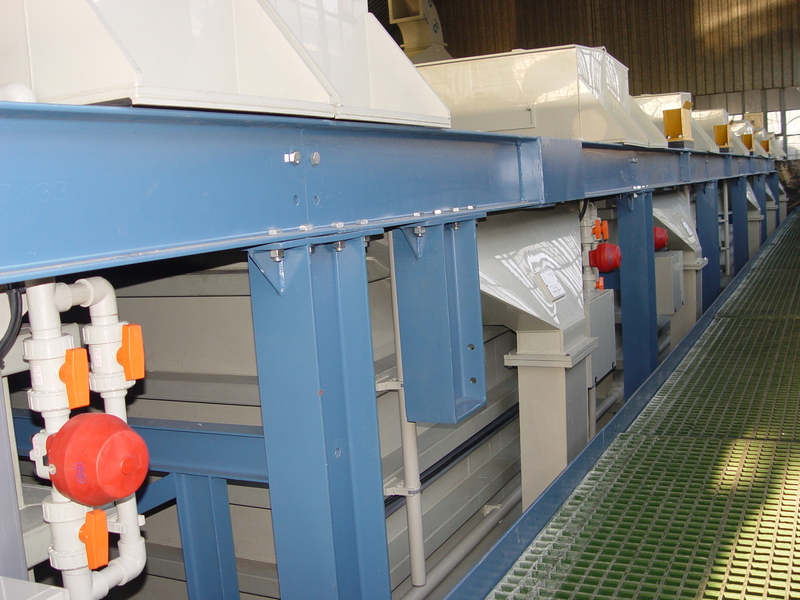 When a wire production plant capacity exceeds 40.000 tons a year it can be economical to install a batch pickling plan, especially when dealing with high carbons steel wire. 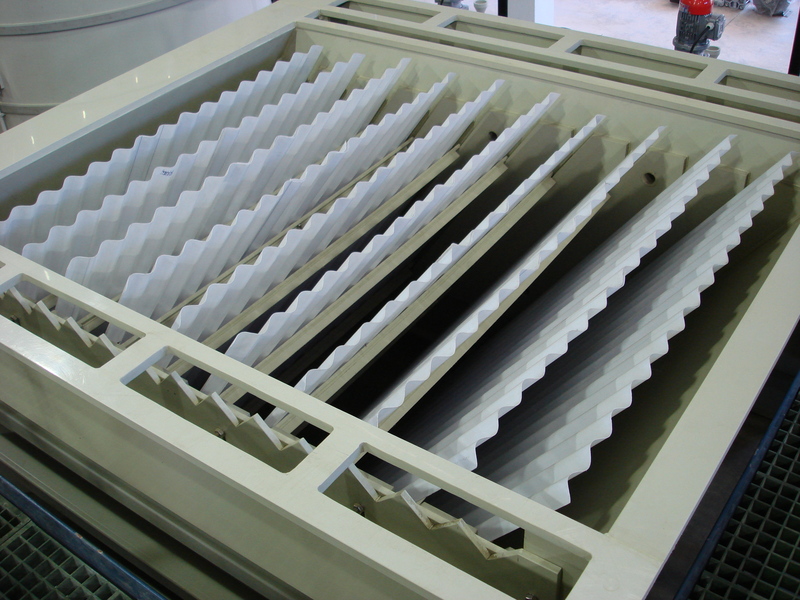 Installing a batch pickling plant will improve efficiency in wire drawing and the quality of the finished products. 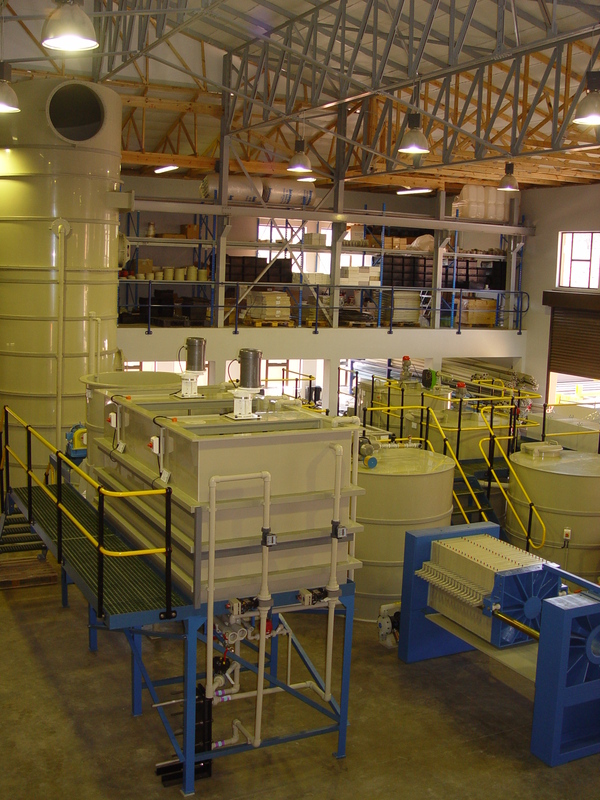 Eurodraw designs batch pickling plants with capacity up to 150.000 Tons/year combined with acid recovery systems and effluent treatment plants. 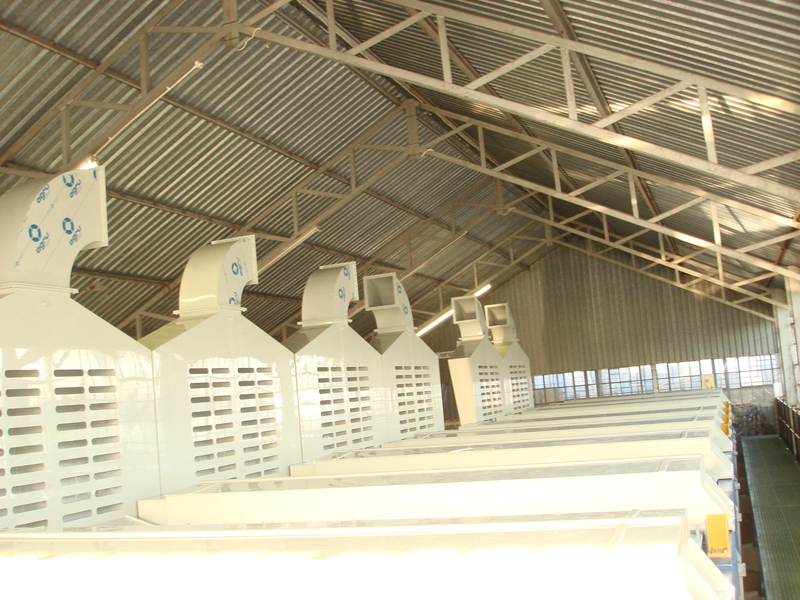 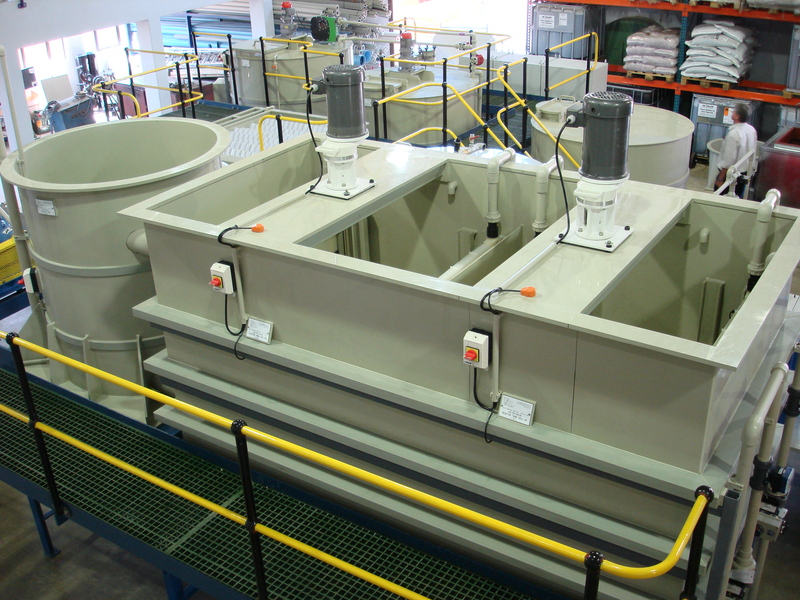 These plants are equipped with automatic cranes that fully manage the wire rod coils movement. 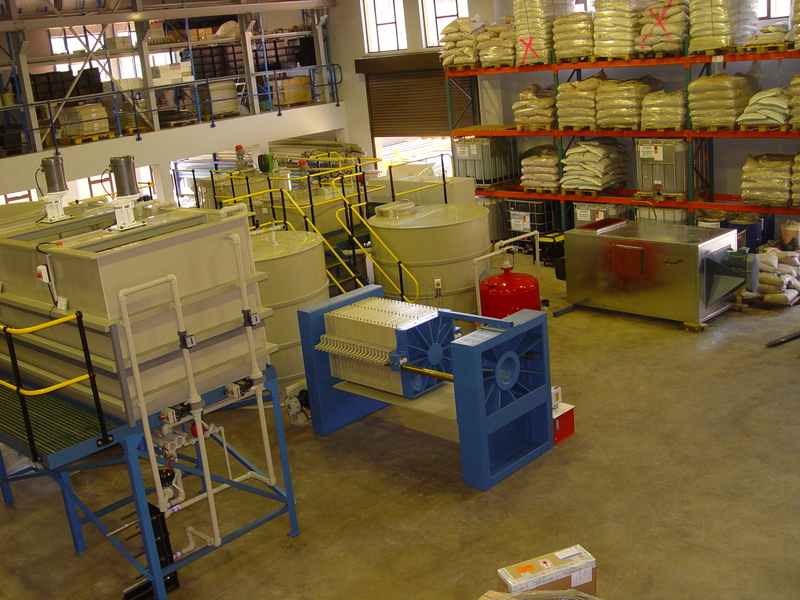 The plants can be designed to work with HCl or H2SO4 and can be equipped with all sorts of surface treatments such as phosphate, borax, lime, KMnO4, dryers, activators etc..
We can configure the plant either in Enclosed TUNNEL configuration ( mostly suitable when using HCl) or with open architecture with PUSH PULL suction system( mostly suitable with H2SO4).